We’re using the mnemonic, l-o-c-k-e-d u-p, to show some of the main characteristics of a youth prison in a series of articles, Locked Up: What is a Youth Prison? One of those characteristics is that kids are locked up in youth prisons. Yes, you heard that right. Kids are in youth prisons (that are large, old, outdated & obsolete, and mirror adult prisons). What do they think about their experiences in youth prisons? 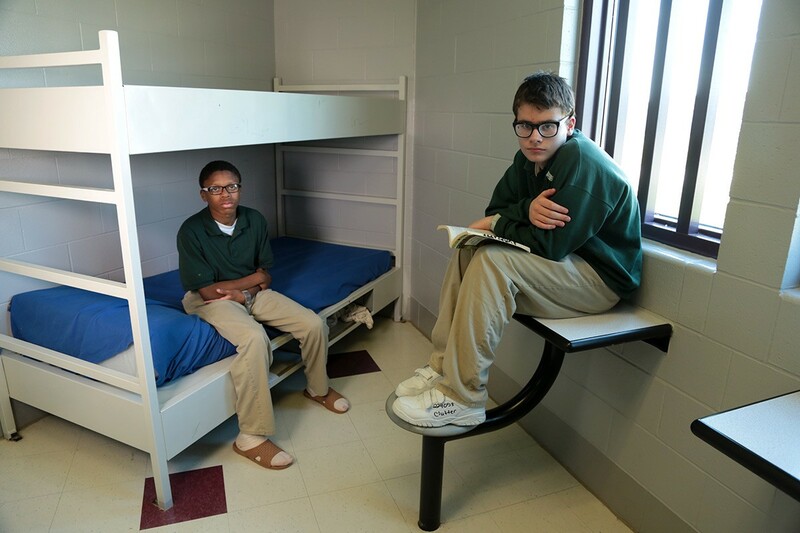 Allen, Savanna and Deon are young people who have all experienced incarceration and are featured in Portraits of America’s Incarcerated Youth and are featured in the film Prison Kids. Narrated by actress Gabourey Sidibe and introduced by Russell Simmons, the film highlights the experience of youth incarcerated in youth prisons in the juvenile justice system. The film has been nominated for an Emmy award. These are the perspectives from youth who are currently incarcerated in Virginia. They are writers, thinkers and photographers who are participating in Performing Statistics, a collaborative project designed to elevate youths’ voices through advocacy, art programs and leadership opportunities. The initiative is a project of Art180, in Richmond, Virginia and was developed with its partners at the Legal Aid Justice Center. Performing Statistics provides ways for youth who are incarcerated to express their perspectives and emotions through artistic expression and to share these with the community as well state and local policymakers. To hear their voices, call (804) 234–3698 and press an extension number between 1 and 11. Performing Statistics has also created a newspaper showcasing photography, writing and art from youth. This youth artist and filmmaker who experienced incarceration is participating in Artistic Noise, a program founded by Francine Sherman and Lauren Adelman in 2001. These are the perspectives of youth featured as part of the Juvenile-in-Justice, a project of photographer Richard Ross who has spent the last few years documenting the experience of youth in the juvenile and adult criminal justice systems. What do the kids want instead of youth prisons? The youth highlighted in this article and many others who’ve experienced incarceration are calling for investments in youth in their communities, rather than youth prisons. One young person, Da’Quon Beaver, is organizing in his community to advance an alternative vision of justice that does not rely on youth prisons. Da’Quon is one of the leaders in the RISE for Youth campaign in Virginia to close youth prisons and invest in alternatives to incarceration. Tens of thousands of young people are spending days, weeks, months, and years behind bars. These are our kids. Kids with hopes and dreams, talents and ambitions. What these kids are telling us about youth prisons through their words, their writings and their art, is powerful. Prison is no place for these or any kids. We cannot let their voices, perspectives, and recommendations for change go unheard.